I enjoyed this event. It was different from what I had played in the past and it brought a lot of new dynamics to the game. Last edited by Buddy Lee; February 10th, 2019 at 04:09 PM. I’ll echo the other’s sentiments. @Gurei-Ornery , Thanks for running the event. It was lots of fun. As someone who doesn’t usually use huge heroes, I enjoyed the huge figure requirement much more than I expected. I’m looking forward to the next one, and I’m hoping my luck will continue to hold. I'd love to see Pics, armies brought and battle reports. I bet games were epic! I wonder if there was much turtling? With the point of what you kill format you could technically be the first one eliminated in a game but win on points. The format has several charms that make it my favorite. One of which is, as you guessed, that turtling is for losers. You have to rush out and kill stuff. I'll do some battle reports. What the heck, it's been ages. I came up with a few armies that I thought would min/max the format, but I ultimately settled on one that (I thought) would be fun but not necessarily a winner. Wolves of Badru x3 + Mimring. The idea is that the Wolves don't give points when they self-destruct on their SA. On the other hand - and this is why they are not so great - they are worth 26 points each, which is a *lot* in this format, and they only 3 per squad with a measly 3 defense. Mimring would give me a sniper to couple with them. As I was preparing the armies for myself and my friends, I realized that the Werewolf Lord, though he's melee and would mean my whole army was basically melee, would give me a bonding option instead. So that's what I did. I don't remember everyone's army down to every detail. I'm doing my best! I opened in both directions, sending the WWL and one or two wolves toward kldonnelly and her high-value squaddies. My other wolves rolled north, toward Jacob's Beast army. Kldonnelly responded with the KMA and then Krug, who kept hounding the WWL, as it ate two of her three Krav Maga Agents. I didn't even try to hit Krug, who kept hitting on engagement strikes, wearing me down. Ken put Nilfheim on height toward the center, and used Ice Shards to pick off pieces of the other two armies while mine was still (for the most part) a little far away. The Airborne, unfortunately, did not drop until Round 3. Jacob focused his attention on me, rather than try to engage the big white dragon. We went back and forth a bit. His Arrow Gruts were not very lucky with their precious few dice, and I wore him out with my wolves. Eventually Krug wore out the Werewolf Lord, and I had no more presence in the south. But it didn't matter, because kldonnelly's army was pretty much wiped, except for Krug, who wandered around the map trying to hit things. I used wolves to try to pick off high value targets, like the AE after they finally dropped. I ultimately won with the most points taken, though my army may have been the thinnest on the map by the time the game was called on time. 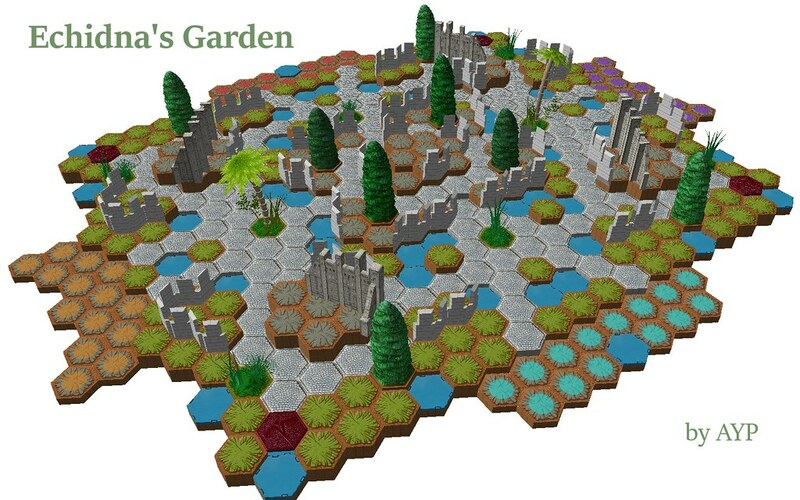 A word about Echinda's Garden: As I already wrote to AYP in his thread, I think this is the best 4-player free-for-all (as opposed to team) map on the boards right now. 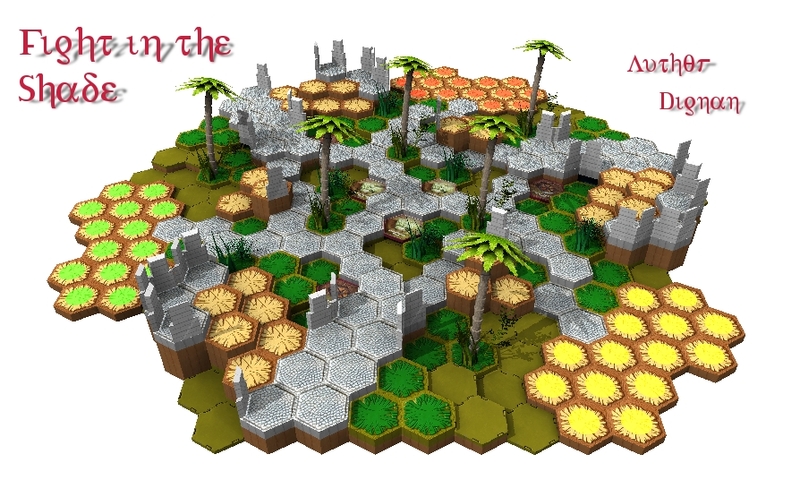 Round 1 had featured 4 4-player maps, and G-O placed the winner of each one here. Unsurprisingly, the main weakness of my army - the low defense and high value of its squaddies - was badly exposed. Akden opened with Mimring taking the high ground between us and putting a fireline through my start zone. I'd mitigated the potential for damage as best I could, but he still killed two or three wolves just like that, before my first OM. Josh rolled Braxas south, toward akden, and Stephen came after me. Unfortunately, he successfully picked off a couple of my wolves as they tried to get to Mimring, and the Werewolf Lord was taking too long to get anywhere helpful. The game ended up being quite exciting, with an unwounded Krug putting 4 wounds on Braxas and ultimately killing her. Akden ran away with the point total. I somehow managed to eke out a third place finish on this 4-player map, despite being eliminated quite early, and that 1 point ended up making a huge difference in the final standings. Also, perhaps the highlight of my whole tournament came during this game, when I got to use a lycanthropy marker to take a turn with Stephen's Krug. I'd never pulled that off before! He killed two of his allied Arrow Gruts, if you were curious. Juliana took the high ground near the 12:00 position with Phantom Knights and Moltenclaw. Because she was staying so far away from me, it was hard for me to get at her. Mostly I focused on Famous Seamus, who split his forces against both of us. I opened up aggressively after Cyprien, using the Pounce ability even when I knew it would fail just to start to wear him out. Juliana played very cautiously. Ultimately, I wore out Cyprien, and Krug killed the Werewolf Lord. Moltenclaw finished off Krug and a wolf or two with his special attack, as wolves eliminated Seamus's remaining lower-value heroes. Juliana still had a *lot* of muscle left on the board, so I ended the game by having wolves just keep pouncing on her units until the wolves were gone. I edged out Seamus for the win on the board, with Juliana a distant third despite the fact that she had an unwounded Moltenclaw and many of her PK's remaining at the game's end. The scoring on 4 player maps is 4/2/1/0, and on 3 player maps it's 4/2/0. I finished with 9 of a possible 12 points, good enough for third place. Thanks to G-O for running it, and thanks to all those who brought maps, and also thanks to all those who showed up, because it was a fun time. Last edited by Dad_Scaper; February 11th, 2019 at 12:30 PM. Thanks for coming everyone. Sadly, I forgot to take pictures. Too hectic worrying about making sure everything is running as smoothly as possible to remember, for me at least. I am not a very good multitasker as my CPU is single threaded. I can only do one thing at a time poorly. Sorry to have missed you, @Nikkomon . Guess that means you'll just have to win twice as hard next time, right? Mostly I focused on Famous Seamus, who split his forces against both of us. I opened up aggressively after Cyprien, using the Pounce ability even when I knew it would fail just to start to wear him out. Don't forget the part where your wolves viciously obliterated my Arrow Gruts, @Dad_Scaper . That game was a ton of fun. Thanks for running the tournament, @Gurei-Ornery . It was a great time! I know I’m kinda late, but thanks for setting this up G-O, and running. We had a very good time. And it was nice to also see so many new faces. good trades with rudyvalentine, crazytankster, and Jexik. Thanks for taking the time to make the long journey. Glad you and @hosey had fun. Last edited by Gurei-Ornery; February 19th, 2019 at 09:27 AM. Sorry to have missed this. It sounds like it was great fun as usual. I was out of town but thanks for the invite Dadscaper! We will run another one in a couple of months. I originally had planned to try and have one every 2 months, but they have turned out to be exhausting to plan and I am not sure why other than I might put too much stress on myself trying to make sure everyone has a good time. I think once a quarter is about the most I can handle at the moment. I still want to run a SuperHeroscape event using @Grishnakh 's Superhero Buildings and terrain rules. I need to find more vehicles though. One every two months would have been too difficult for me to plan and run, and would likely be too frequent even for me to attend. We supposedly have people local to the store that keep asking when we are going to run events, but most don't show. They were the original target audience for more events. 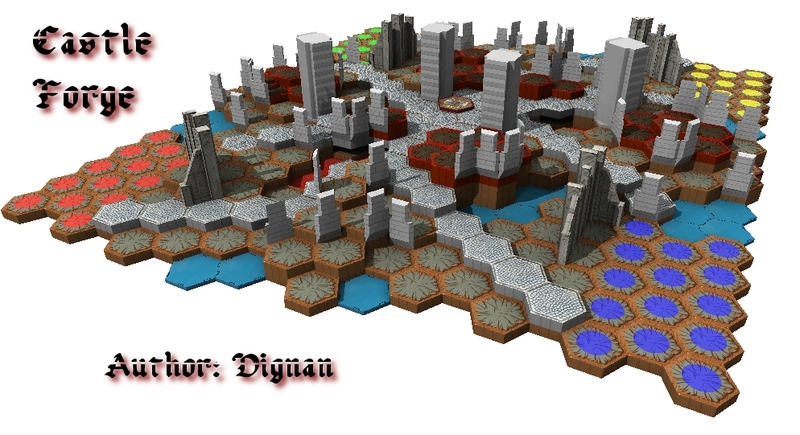 The problem is most don't have there own stuff, so I would end up building 10 maps and 20 armies. Not worth the hassle. Speaking of, I am definitely out of practice at building maps. This time it took me so much longer than I remember it taking in the past.